Vineyards have become the hot spot for weddings, especially Villa De Amore. The vineyard was built with the necessities of a perfect wedding: privacy, panoramic views, and a dedicated staff. We can’t get enough of this venue’s beauty. Villa De Amore Vineyard’s wedding package includes a bridal suite and groom suite that definitely cater to both parties. The men enjoy a game of pool and drinks while the ladies are perfecting their wedding day look. 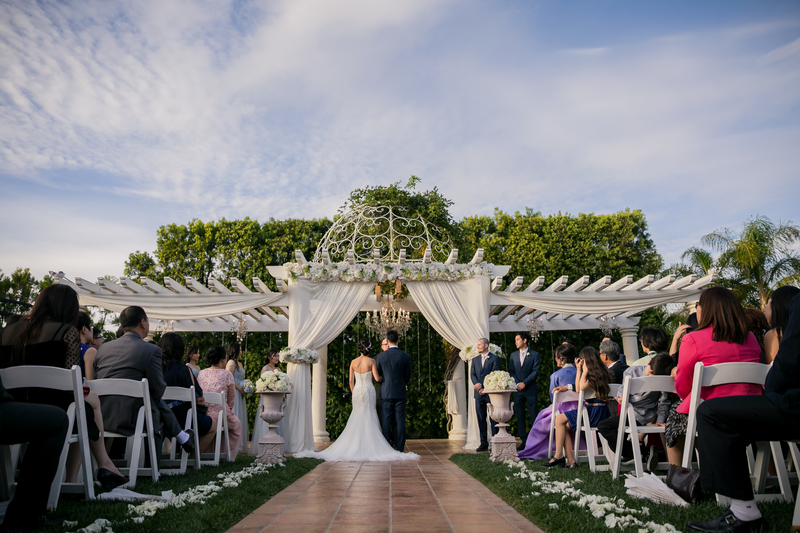 The Villa De Amore ceremonies are held on their beautiful lawn surrounded by a lush green garden. 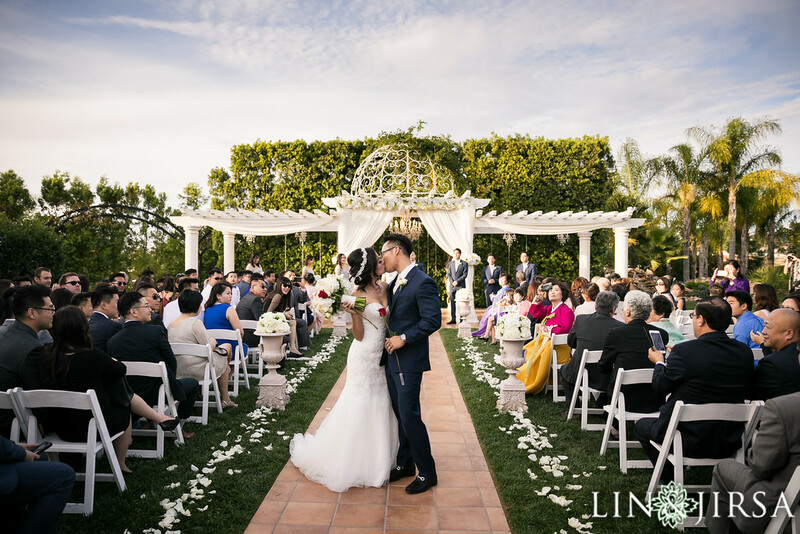 The draped gazebo and sparkling chandelier add that extra pop of glam to your Villa De Amore wedding. Villa De Amore typically hosts their ceremony and reception on the same lawn, but there is an inside option as well. The twinkling lights and candles add to the beautiful night sky at Villa De Amore. Villa De Amore Vineyards is surrounded by beauty, truly the picture perfect location. 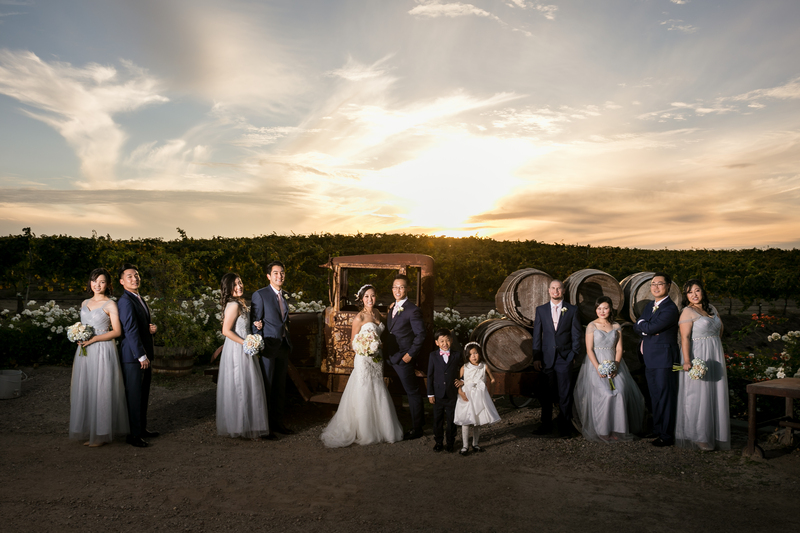 Around the Villa De Amore Vineyard, you can kind find a variety of backdrops for amazing photos. We love to capture the beauty of a wedding day from sun up to sun down. 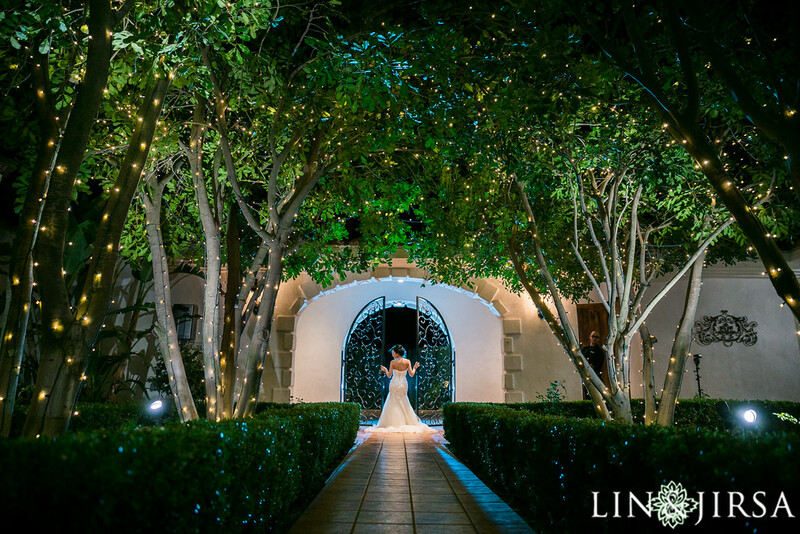 Villa De Amore is covered in twinkling lights and greenery, a combination that guarantees fabulous pictures.